Total kilning time: 12 hours. Hours 3 and 4 -158F signs of liquification at end of hour 4. 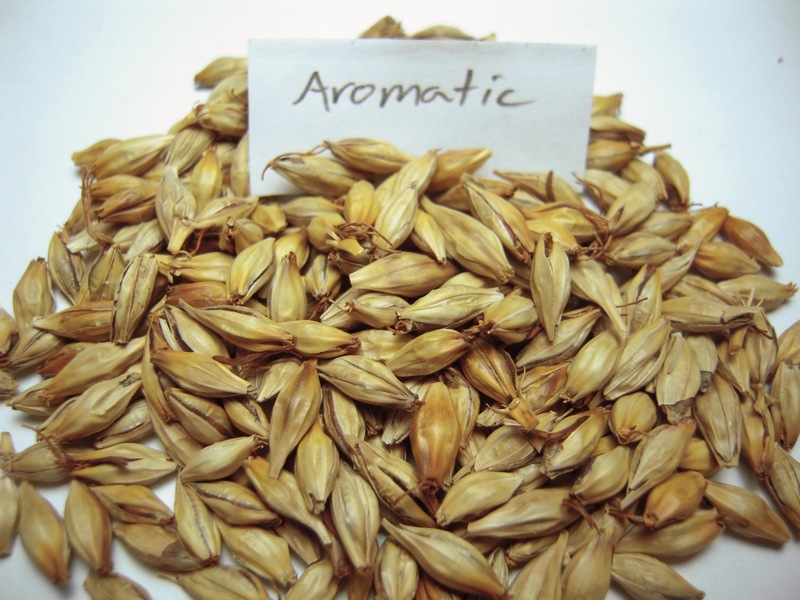 Update: To ensure proper saccharification of malt some texts recommend starting with a very well modified malt. 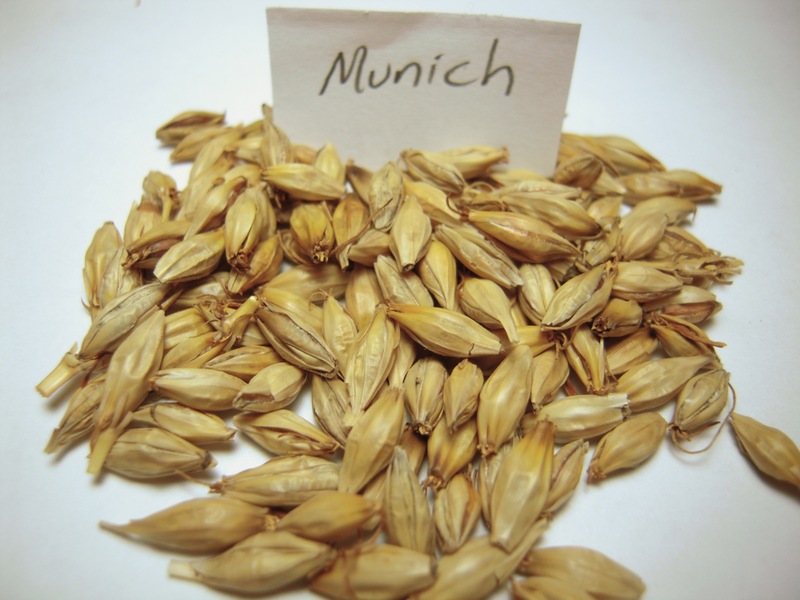 Steep till 45-48% and try to extend your germination as long as possible, acrospires will average the full length of the grain. 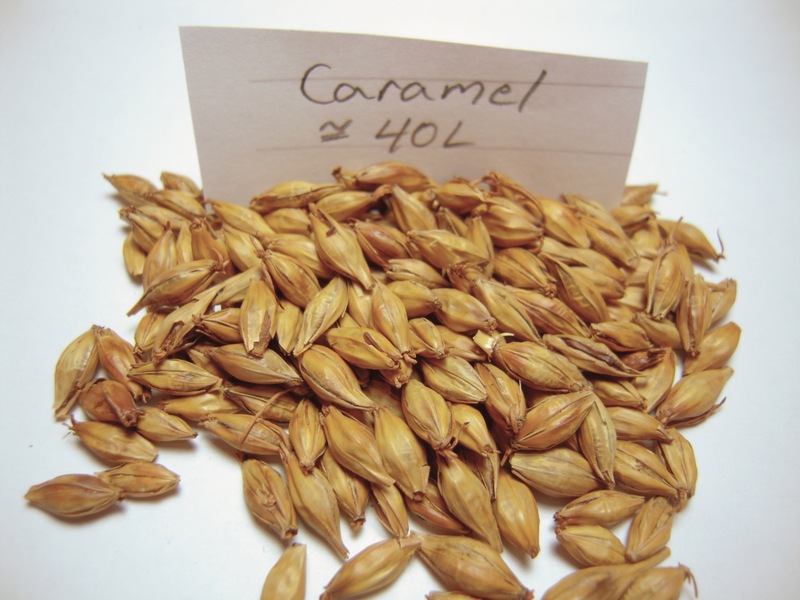 For dark caramels a couch phase is also recommended in the Wolfgang Kunze text (pg 180) at 45-50C during the last 30-36 hours of germination before the saccharification stewing phase (but not for dextrin or cara-pils malt). The store bought 15 is surprisingly light. To get this colour I would stay below 200F until it’s dried out. My first two samples which are very similar in colour are a little lighter than the 30L. The third sample after an hour at 250F is very close to the 60L and my fourth sample after an hour and a half at 250 is a little lighter than the 120L. Finally my last sample is slightly darker than the 120L. I also got to check out the garden today, it’s looking pretty good, some seeds are still germinating and haven’t come up yet so it should fill out a little more. Planted two weeks ago and coming up nicely. Even though it’s only the beginning of March spring is taking hold. Trees are blooming and the birds are back so that means time to plant! This year I’ve planted 7 beds of barley with a total of 240 sq ft. I had planned to get another plot last year but unfortunately nothing suitable came up. There were a couple of plots free but they usually remain under water till April so I passed. 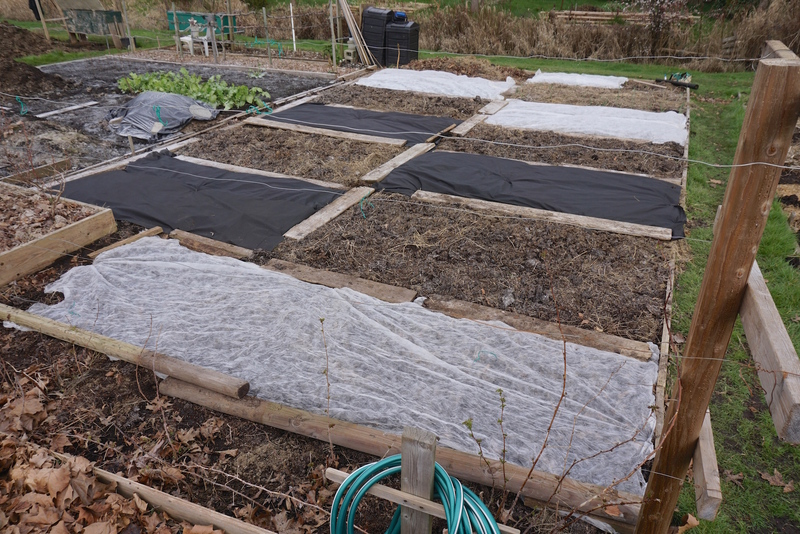 In the picture you’ll see that I’ve used black fabric on a few beds. The garden store was all out of the white stuff and I just needed something to protect the seeds from the birds. Since I’ll be removing it in a couple of weeks it doesn’t really matter that it’s black. 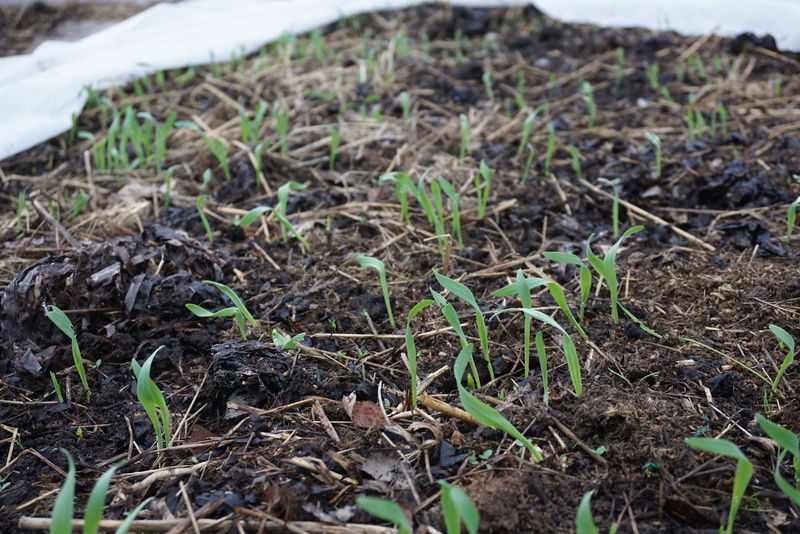 It might even be better since it will warm the soil and may discourage some weeds. 5 lbs. 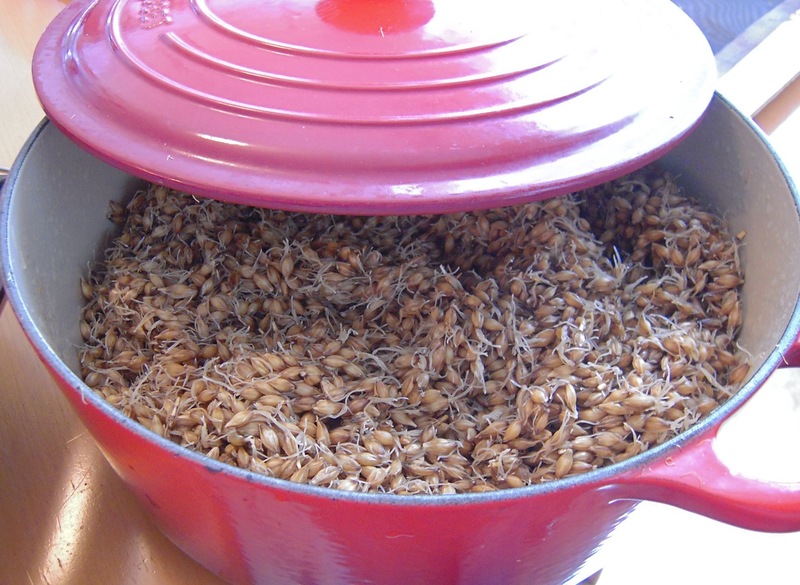 in one pot. 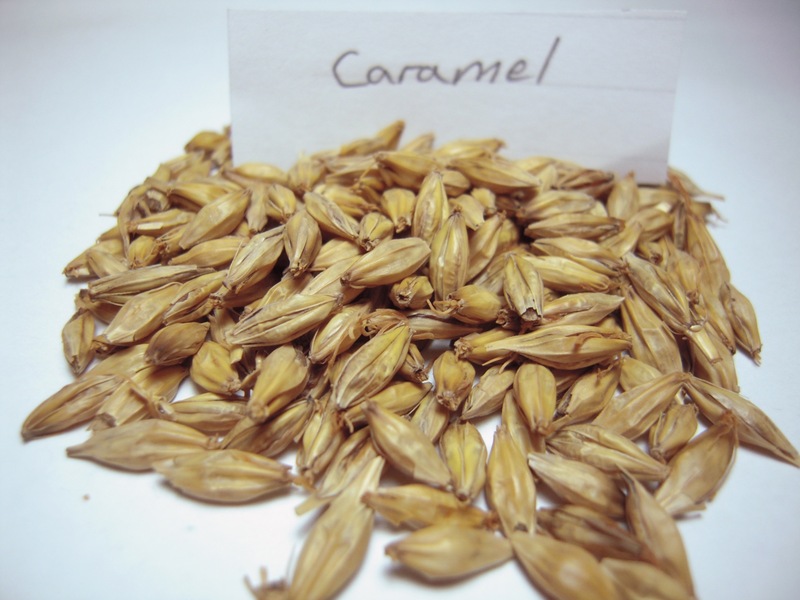 I decided to do an experiment with caramel malt using the feed barley. 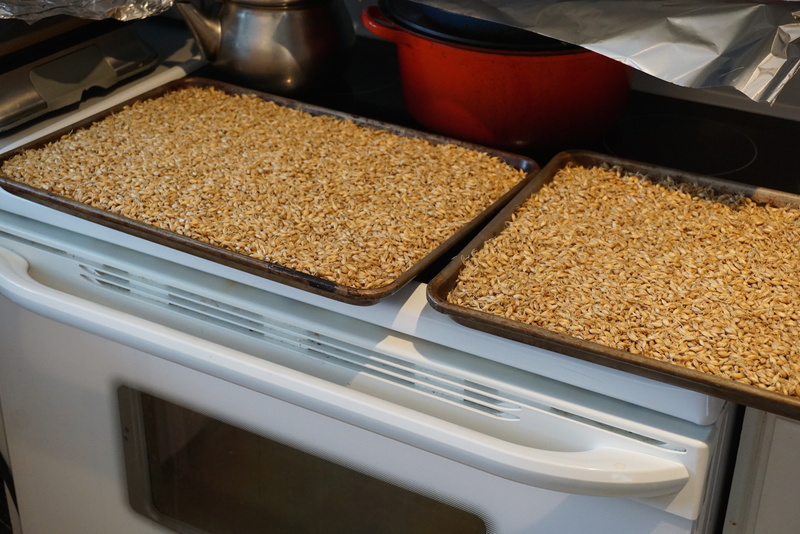 I wanted to see the results of a fast kilning schedule which starts at 200F for 6 hours to dry the malt and then to 275F for colour. 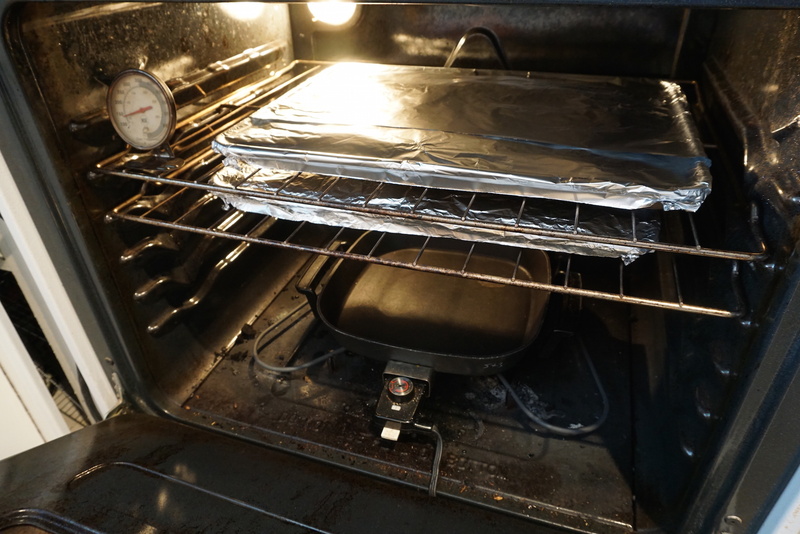 Instead of drying it at a lower temp for a longer time. 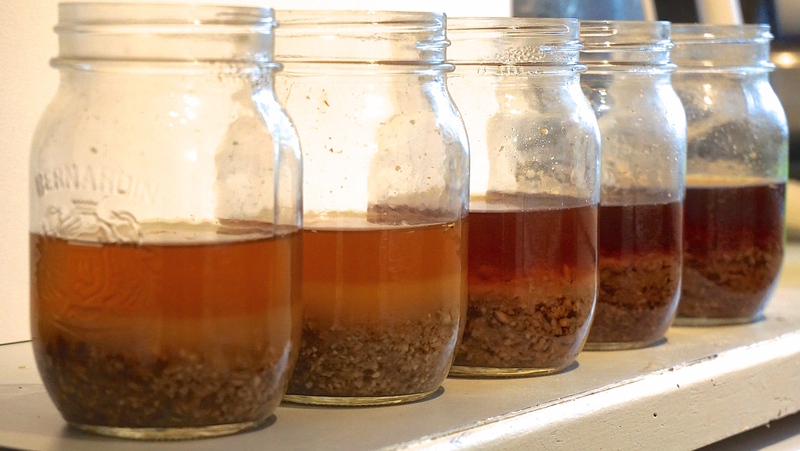 Then I wanted to compare the colours against a store bought caramel malt. The results were surprising and somewhat disappointing. 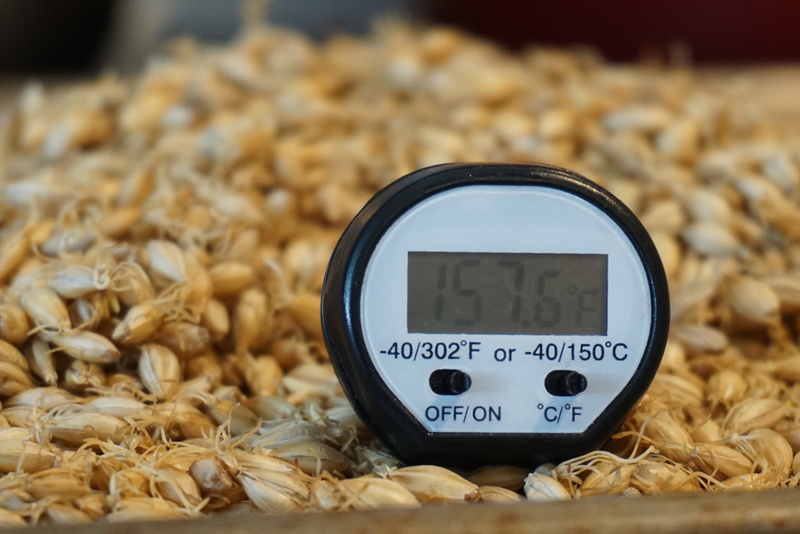 After doing this test I realize that 275F is way too hot and I’ve since corrected this on the Malts Times and Temp. post. (I’ve changed it to 250F) I’ve made caramel malt at this temperature before but I’ve never compared the colour against store bought malt. 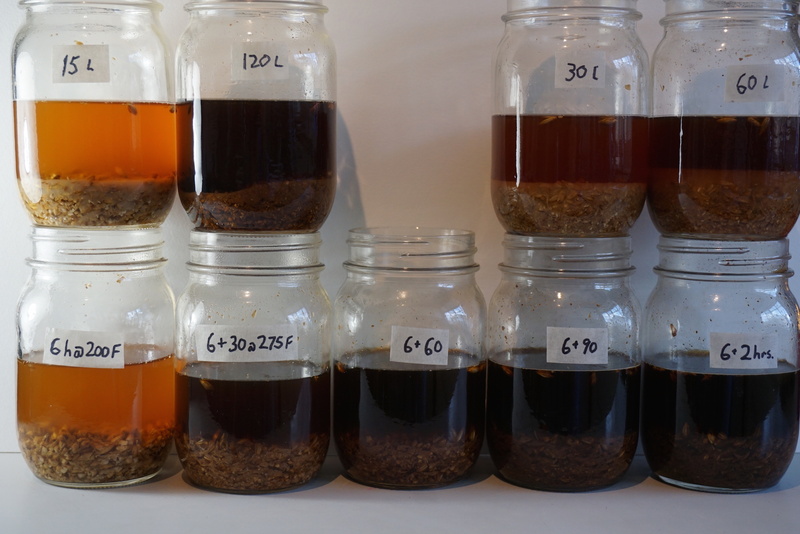 As you can see from the photos the colour changes from around 15L to a little under 120L in a mere 30 minutes. So I totally missed the 30L and 60L malts. I’ll do this comparison again with the slower schedule and hopefully I can get a better range of colours. 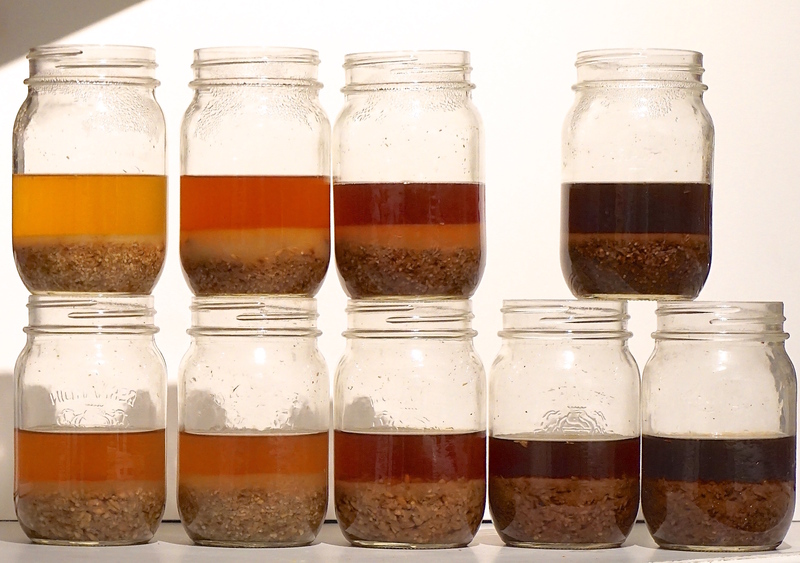 My apologies to anyone who got an overly dark caramel at 275F. 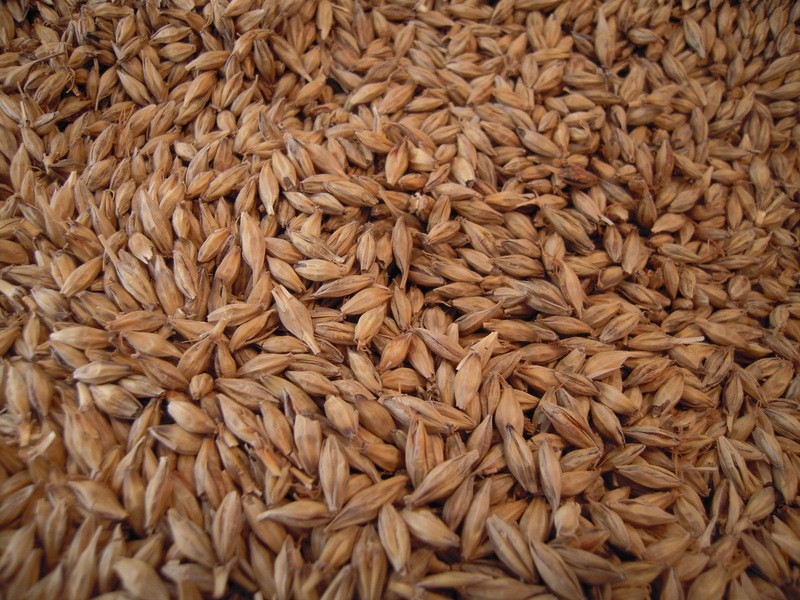 Perhaps higher temperatures are used when kilning larger quantities of malt in a malt house or when using a drum roller kiln. Great Western caramel malt on top. 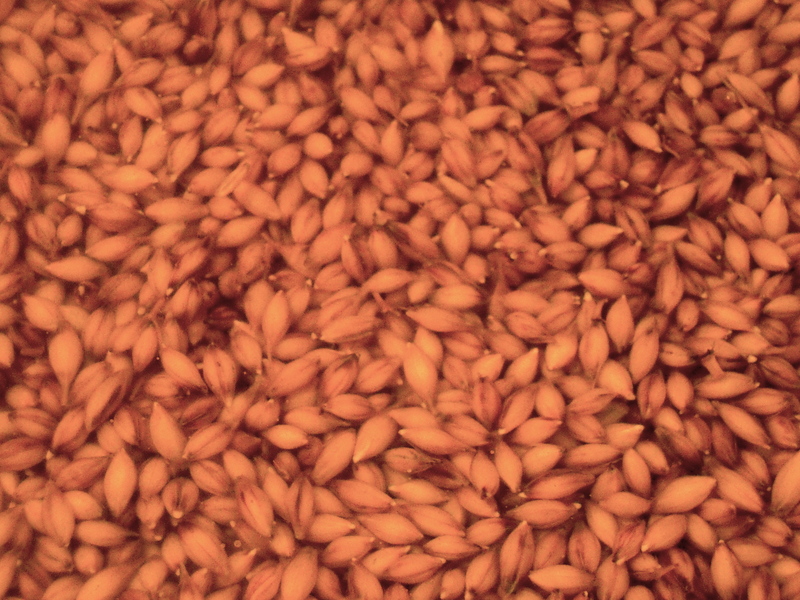 My malts on bottom. Inside should appear glassy, this one may still have some starch in the center. 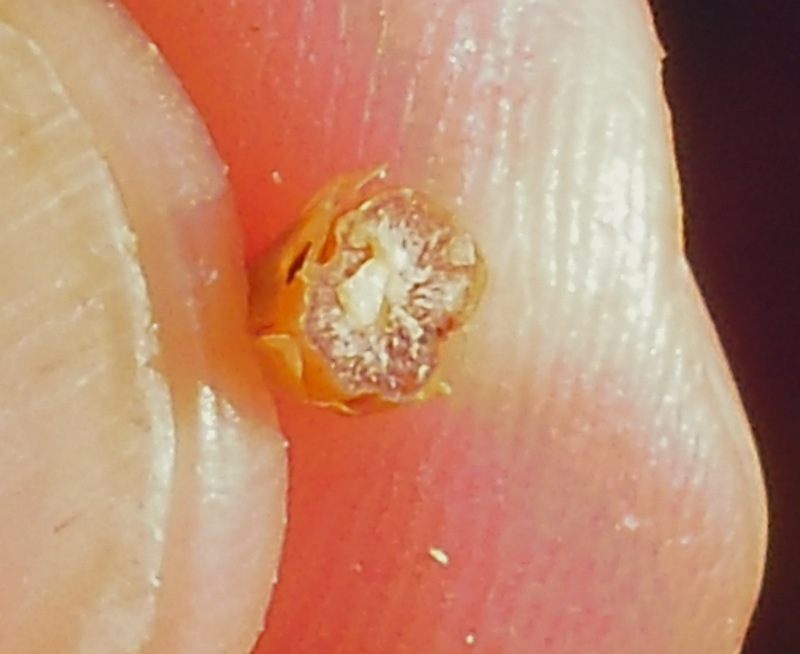 Germinated until acrospire reached 3/4 length of grain. Stewed in a large heavy cast iron pot with the lid on at 122 F 3 hrs Kept wet. Cured at 275 F to darken 1-2 hrs depending on colour. 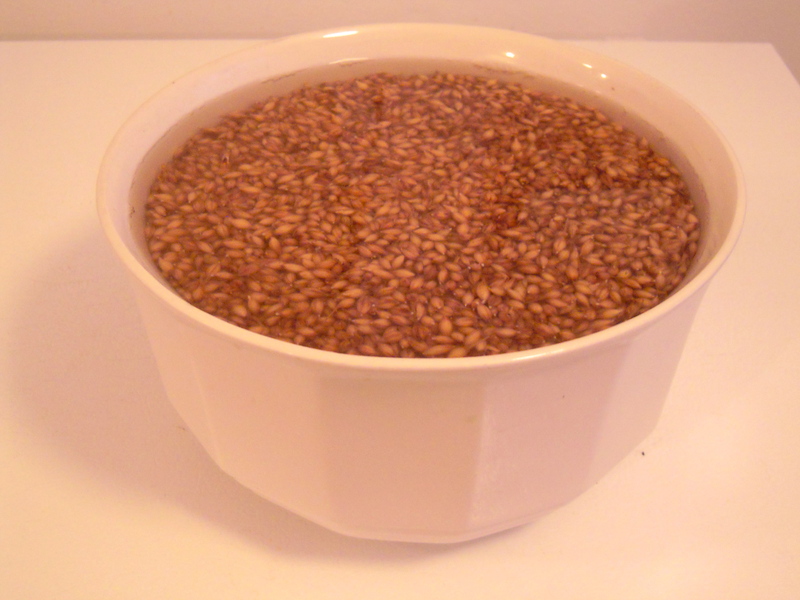 Day three into the steeping process and the grain is soaking for the last time. It’s chitting as of this morning. Thankfully the weather has been co-operating. 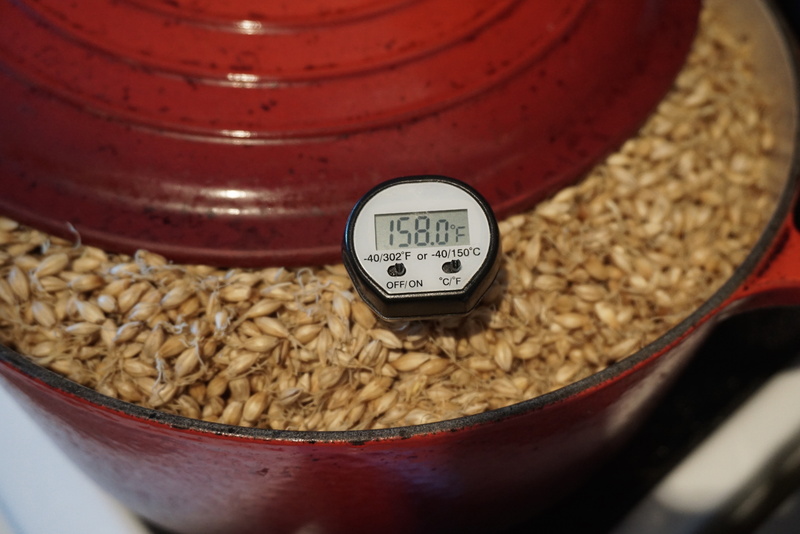 It’s been within the 10 -15 C range for the last week which is perfect for malting.